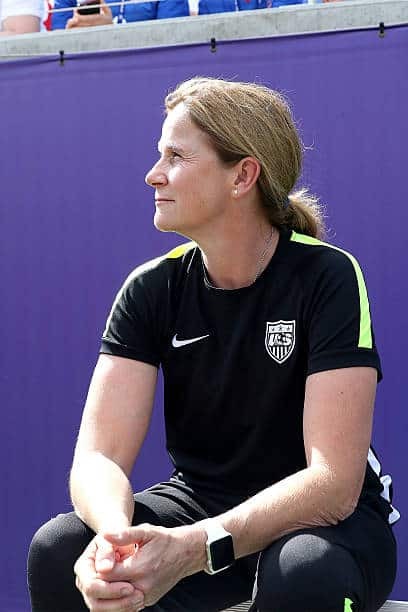 Jill Ellis has gone from hero to pariah for U.S. Women’s National Team fans. Everyone loved Ellis when she led the United States to a FIFA Women’s World Cup title in 2015. However, ever since that tournament, the United States hasn’t been the same. They lost to Sweden in the quarterfinals of the 2016 Summer Olympics in Rio de Janeiro. In 2017, they lost the SheBelieves Cup and the Tournament of Nations – both which were held on home soil. Even with losing tournament after tournament, Ellis continues to call in the same crop of players. Yes, there are some new faces. However, for the most part, the team has remained the same. 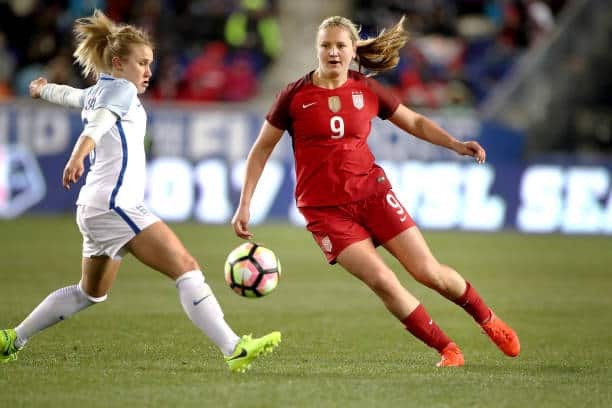 Rose Lavelle, Mallory Pugh, Lindsey Horan and Samantha Mewis have been powerful new forces in the attack. On defense, Casey Short and Taylor Smith are beacons of light. However, Carli Lloyd has been largely ineffective. Somehow though, she still gets named to the FIFA Women’s World Player of the Year final three over more qualified players, such as Australia’s Samantha Kerr. Kelley O’Hara moving to defense has been a rocky move by Ellis. Sky Blue FC, O’Hara’s NWSL club, hasn’t helped much either. Sky Blue has been moving O’Hara around all over the pitch, never giving her a consistent position. Ali Krieger is dominating on defense for the Orlando Pride. And so has Meghan Klingenberg for the Portland Thorns. However, they’re being overlooked. On top of that, there’s still no clear-cut goalkeeper. 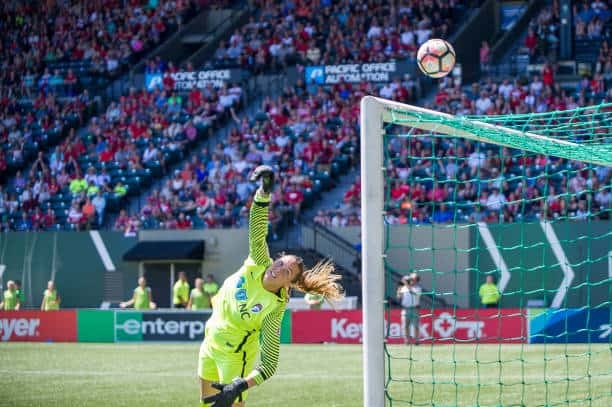 Alyssa Naeher did start both matches against New Zealand, but Ashlyn Harris is still creeping up. Hope Solo doesn’t seem to be in the picture anymore, which is genuinely a shame given the lack of wins by Naeher and Harris against powerful teams like Brazil, Australia, England and France. So what will it take for Ellis to bring in some new faces? Faces who deserve a chance on the USWNT such as: Angela Salem of the Boston Breakers, Shea Groom of FC Kansas City and Katelyn Rowland of the North Carolina Courage. 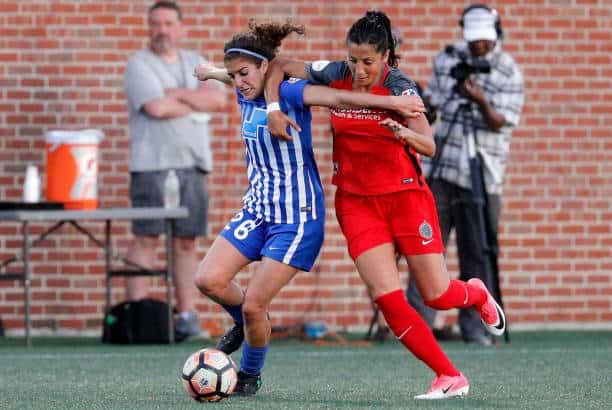 Angela Salem just celebrated 100 total NWSL appearances, which is a huge accomplishment. She’s not the most popular player, but she’s been one of the most consistent for the Breakers. Yes, the Breakers don’t have a winning record, and are down at the lower half of the NWSL table. However, Salem has provided, consistently, 2,027 minutes of dedication. Starting all of her 23 appearances, for the Breakers. She doesn’t have any assists or goals, but that’s not expected from a defensive midfielder. Salem has played her position just as well as anyone else in the league. The previous year, Salem also started all of her appearances (19) for the Breakers. Boston clearly knows they have a consistent and dependable player. They’ll keep using her, and Ellis should keep an eye out for the 29-year-old from Akron, Ohio. 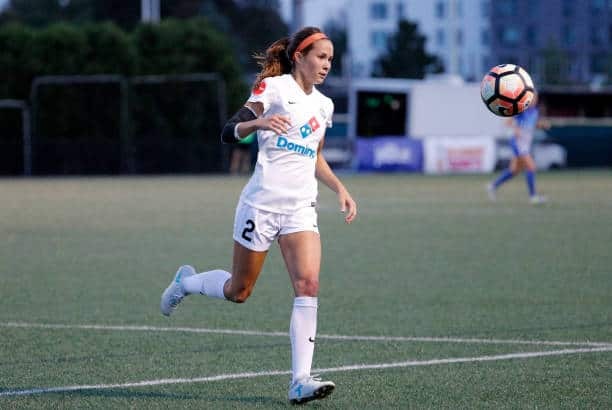 Shea Groom has been a consistent threat for her club, FC Kansas City. Groom’s name always comes up during a match. She either provides an assist, scores a goal or makes a big play. Groom has appeared 20 matches this season, starting 19. Scoring four goals and providing six assists in that span. Groom’s play for FC Kansas City should ease the nerves of Blues fans that are wondering if Sydney Leroux follows her husband, Dom Dwyer, to Orlando. Groom has logged 1,599 minutes for the Blues this season. She’s taken 35 shots, hitting 15 on frame. With consistency like that, it’s hard to believe that Ellis keeps calling back Leroux – and not playing her – and continues to pass up on Groom. Goalkeeper has been a tricky spot for the USWNT, but it’s time to give somebody else a turn. Specifically, give Katelyn Rowland a turn. Rowland and defending National Women’s Soccer League champions North Carolina Courage don’t get enough credit. They’re the top team in the NWSL and yet they still manage to fall in power rankings. Most of all, Rowland, who has featured in 14 matches this season, starting consistently, keeps getting ignored. The 23-year-old goalkeeper has 37 saves while only allowing eight goals past her. While also recording 10 shutouts this season. She’s clearly the No. 1 goalkeeper for the Courage over Sabrina D’Angelo. Should she be the No. 1 goalkeeper for the United States as well? As previously mentioned, it doesn’t seem that Hope Solo is coming back to the program. Rowland should be given the torch, or at least a time to impress Ellis and the coaching staff. Especially right now, when they aren’t even close to 2019 World Cup qualifying. The USWNT next round of friendlies is against Korea Republic on Oct. 19 and 22. Then, they finish the 2017 international season with friendlies against Canada on Nov. 9 and 12.